The Grosche Monaco Tea Kettle is one of the newest in this line up and yet still one of the worthiest contenders when it comes to traditional design coupled with modern sophistication. This 42 fl. Oz. 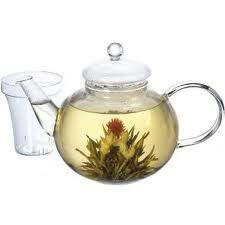 teapot is made of their increasingly popular medical grade borosilicate glass that is highly heat resistant. The infuser is made of notched glass as well that makes tea preparation utter joy topped up with a great tasting brew. Grosche International is one kitchenware manufacturers that understands product functionality should be supreme and only matched by its unique design. This is what you get with each and every single teapot and kettle from Grosche. Your teapots and teakettles are functionally superior making sure your tea tastes exactly like it was intended while still providing you with a jaw dropping design that is the envy of every kitchen owner. Below are the Top Grosche Teapots and teakettles today. If it is superior quality design that you need to couple high quality functionality, the above Grosche teapots and kettles will supersede your expectations. Whether you are looking to buy an electric kettle or a teapot, whether you want to compare various brands or even when you want to see which model from one specific manufacturer is the best, the TheTeaSupply.com reviews will get you to the most viable conclusions. Check out all the tea product reviews from the TheTeaSupply.com!